Nikon Corporation (Kazuo Ushida, President, Tokyo) today announced the release of two FPD Lithography Systems, FX-103S and FX-103SH. Supporting the 10.5th generation plate size, the FX-103S and FX-103SH are FPD lithography systems optimized for the mass production of 4K and 8K TVs, which are expected to become widespread in future, as well as LCD panels for high-definition tablets and organic light emitting diode (OLED) panels. The sale of these systems began in the last quarter of CY 2017. The FX-103S/103SH incorporate techniques from both the 6th generation FPD Lithography System FX-67S2, which is ideal for the production of small and medium-sized high-definition panels, and the 8th generation FPD Lithography System FX-86SH2, which excels in the production of TV panels. 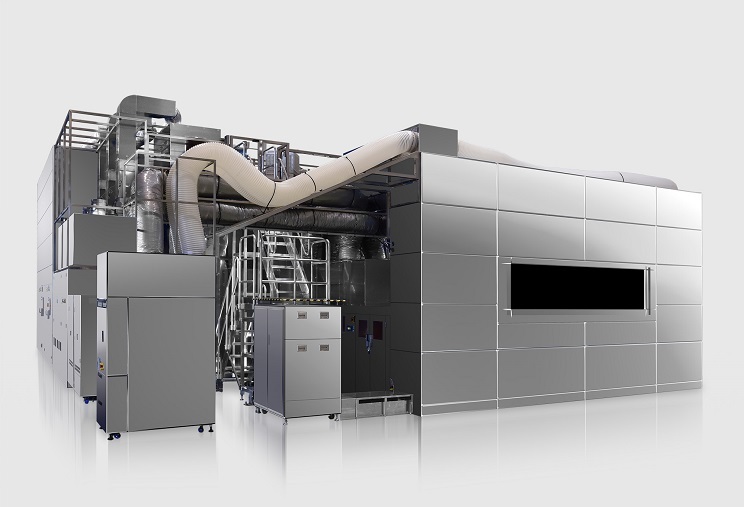 These developments realize an FPD lithography system optimized for manufacturing high-definition large-sized panels. The FX-103S achieves a shorter takt time than the conventional 10th generation FPD Lithography System FX-101S, to improve productivity. In addition, the FX-103SH enables high resolution to further meet our customers' needs. Incorporating the renewed exposure sequence and calibration sequence of the conventional FX-101S, the FX-103S/103SH realize faster speed and higher accuracy exposure. In making the 10.5th -generation FPD lithography system, the FX-103SH has fully enhanced illumination and multi-lens systems, both of which use Nikon's proprietary resolution enhancement technique, originally developed for the high resolution 8th generation FPD Lithography System FX-86SH2. Furthermore, the FX-103SH incorporates a new auto-focus system that optimally corrects the measurement errors of mask bending and plate flatness. This enables a high resolution of 2.2 μm (L/S*) while also ensuring a wide depth of focus. The position measuring system of the conventional FX-101S is renewed to improve measurement results, achieving the high alignment accuracy of ±0.5 μm. The FX-103S/103SH achieve the high throughput of 480 plates per hour for 65" panels, up 77% compared with the conventional FX-101S. For 75" panels, the FX-103S/103SH attain 322 plates per hour.